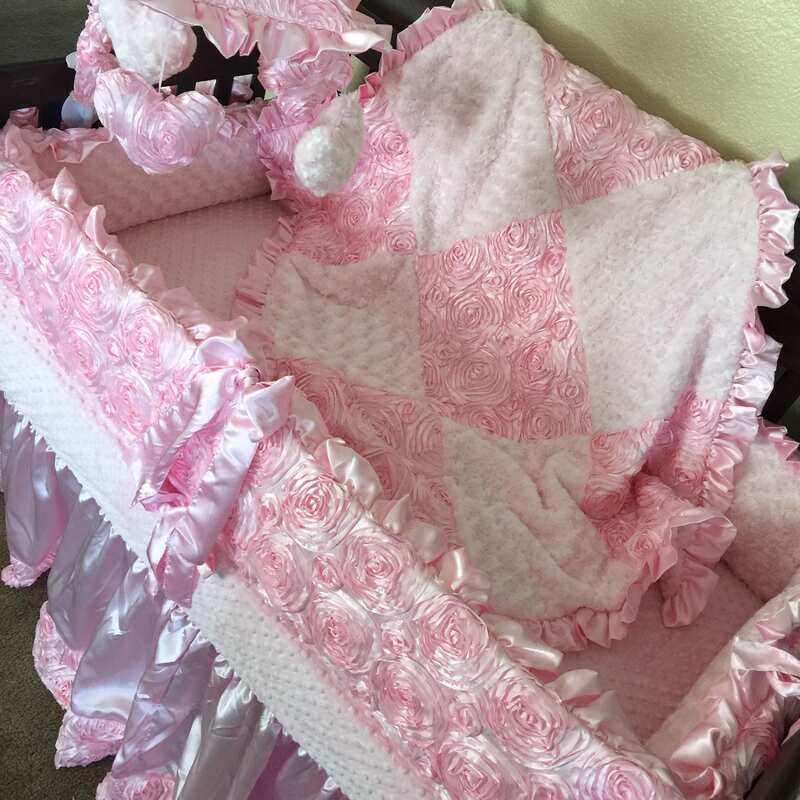 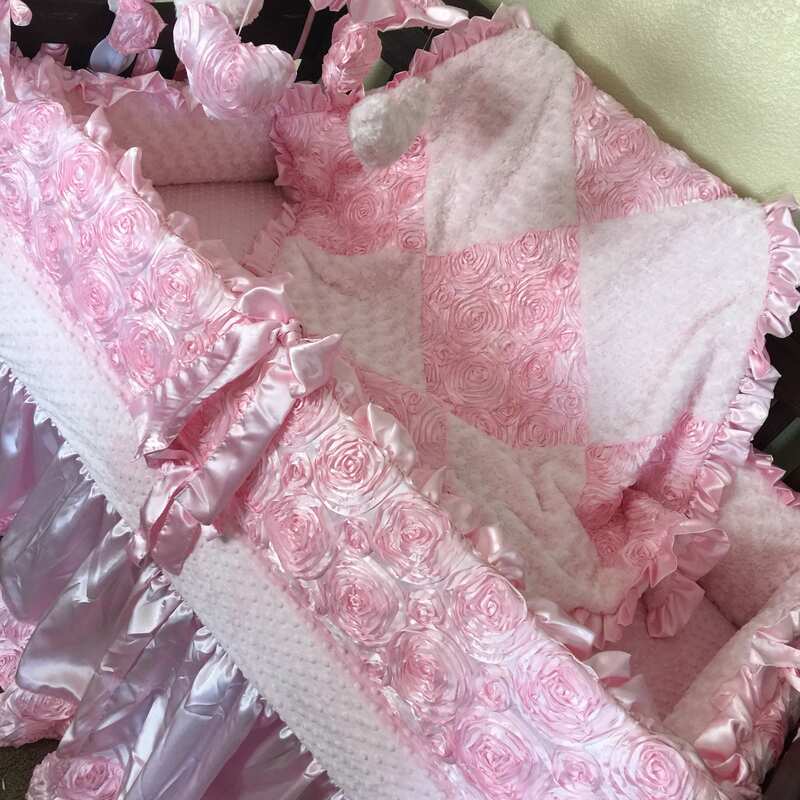 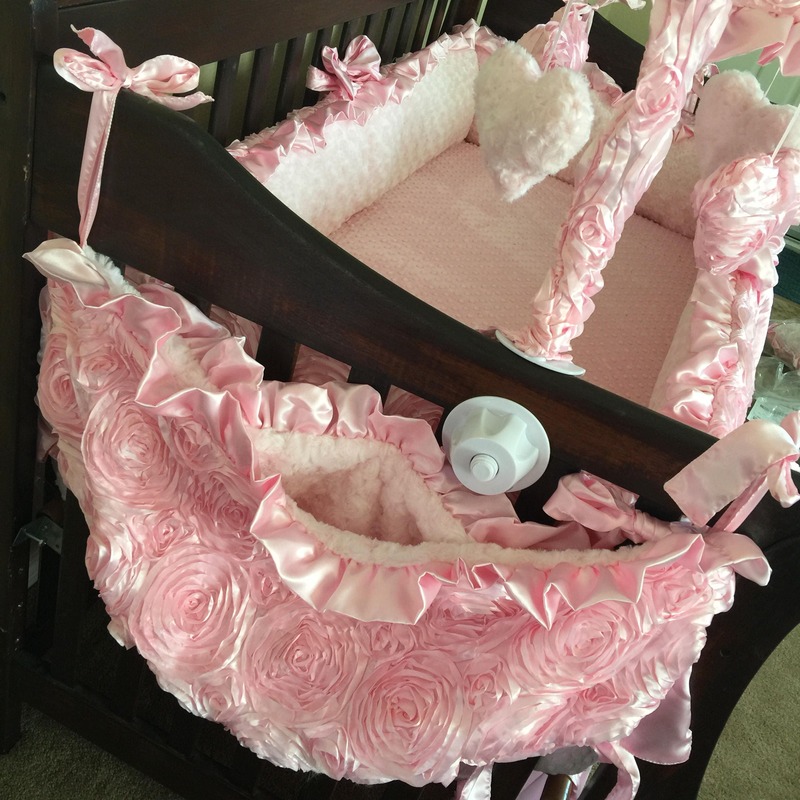 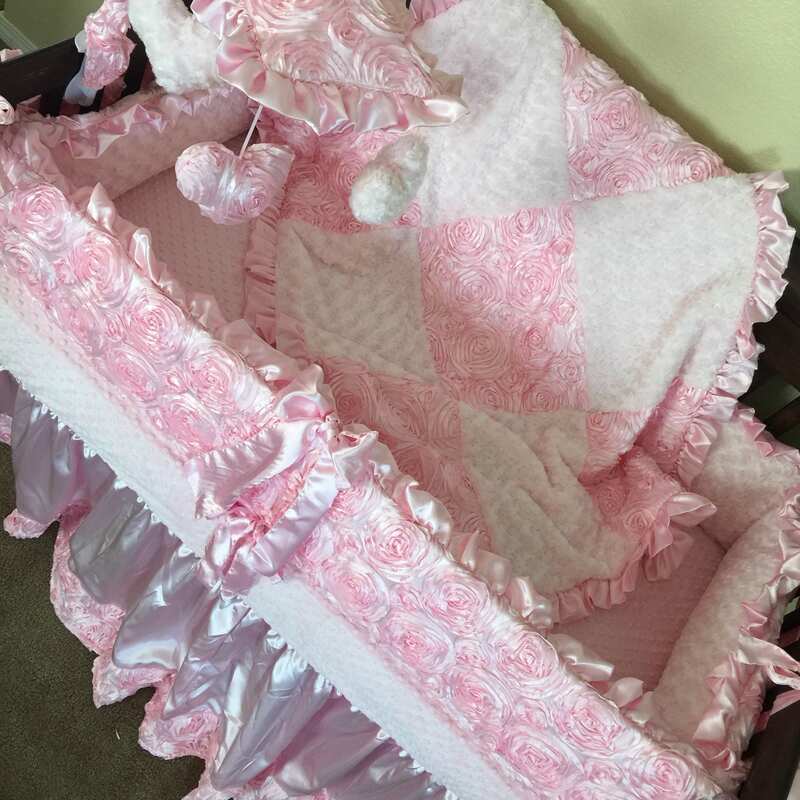 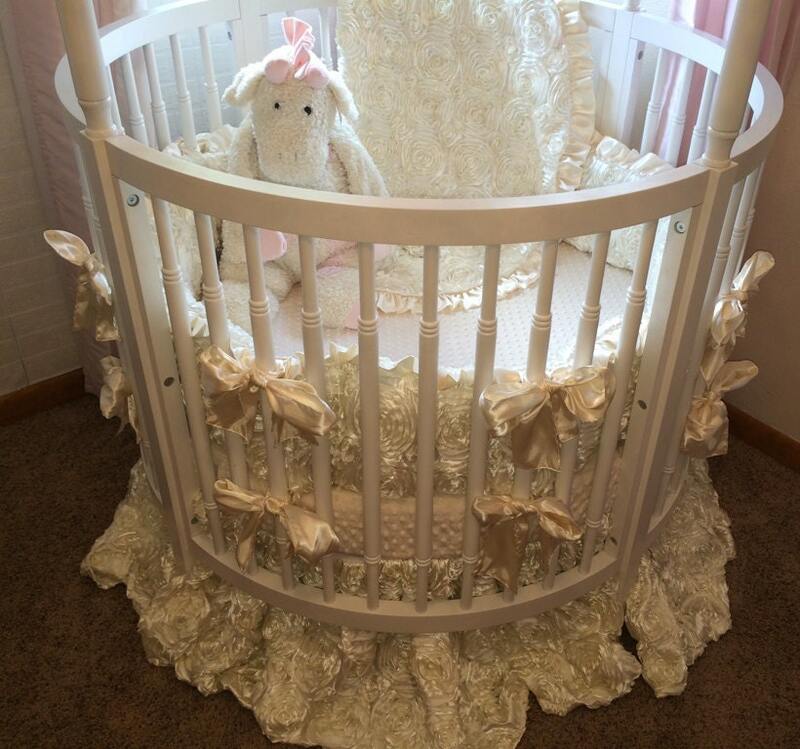 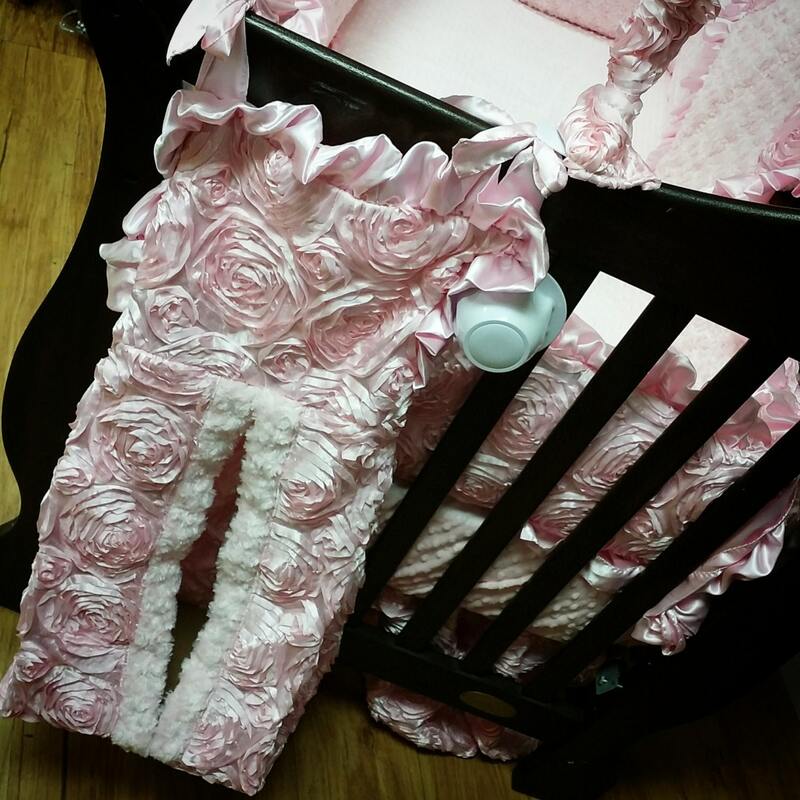 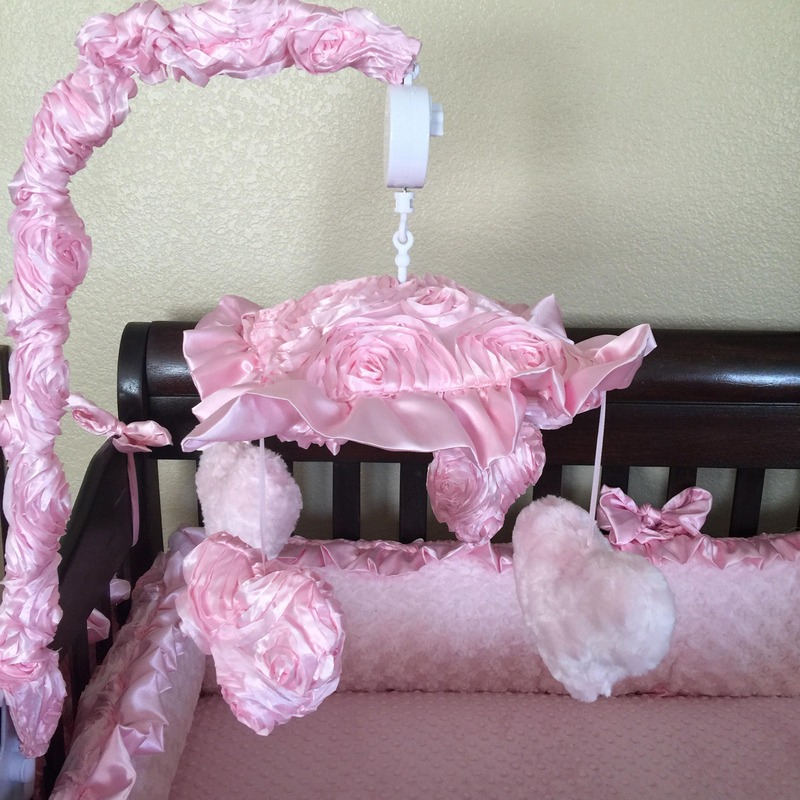 Pink, Satin, Rosette Crib Set. 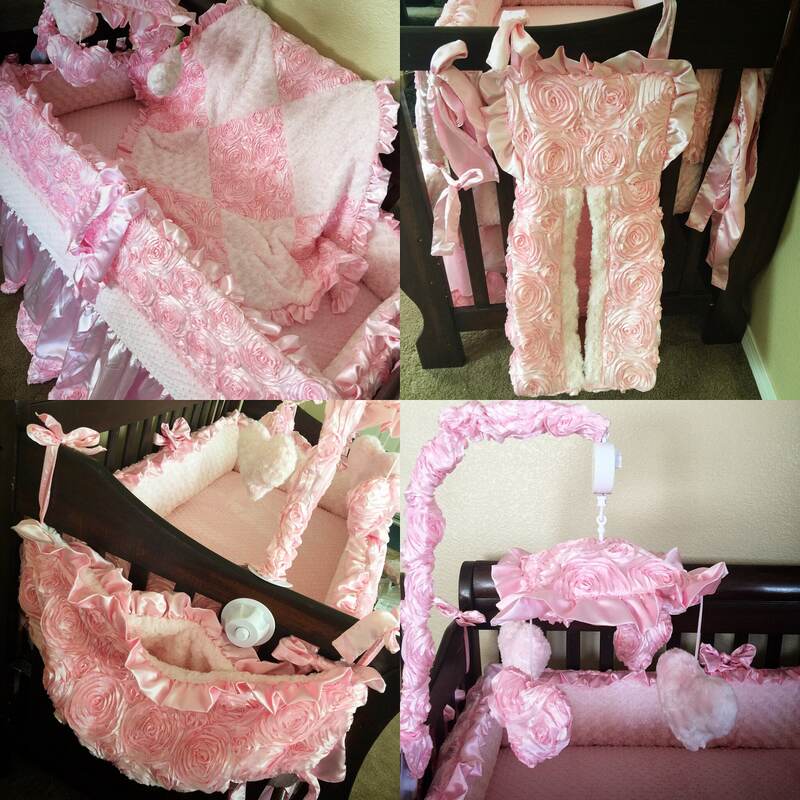 For this set shown, I used a baby pink satin rosette fabric for the main bumper and the bottom of the ruffled skirt, baby pink smooth satin for the bumper & blanket ruffle and bumper ties, and the blanket has the satin rosette on one side patchworked with baby pink minky rosebud, and baby pink minky rosebud on the other. 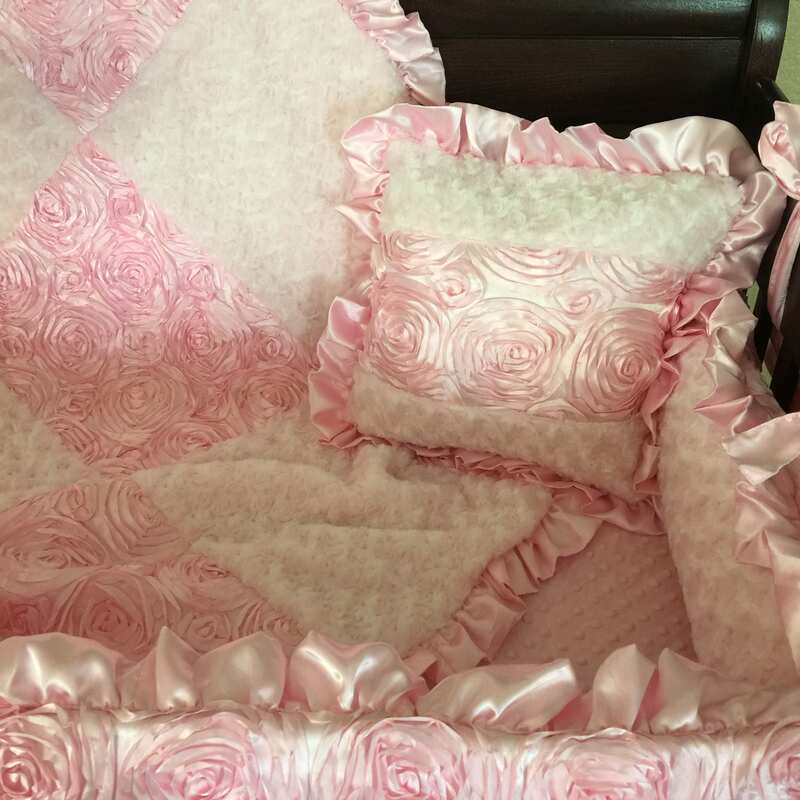 The baby pink cotton sheet is included.